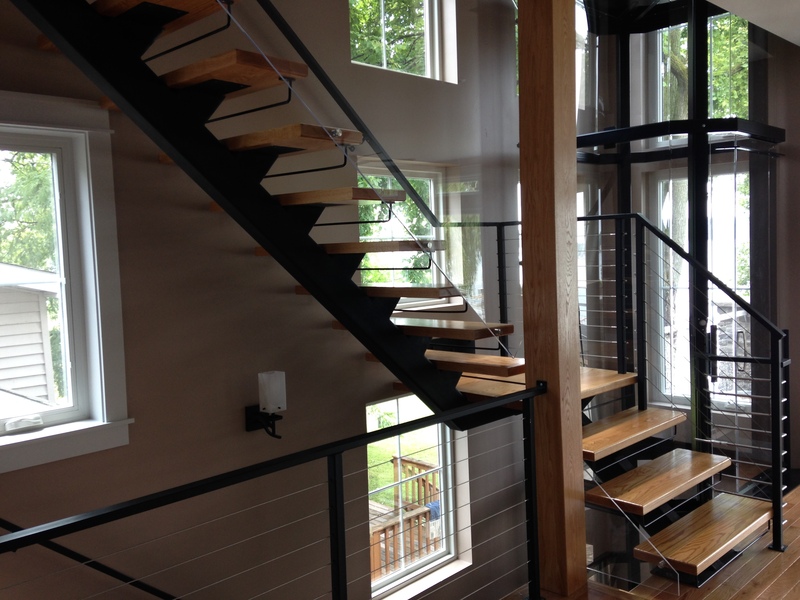 Straight stairs are the most used form of stairs. 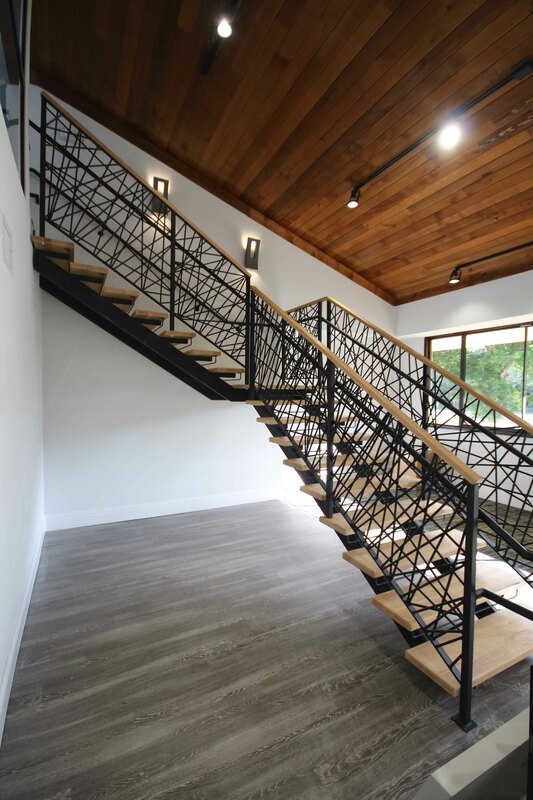 Though straight staircases have been used for thousands of years, there are still many different ways to construct a straight staircase. 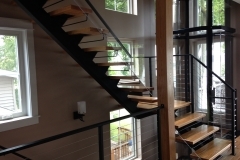 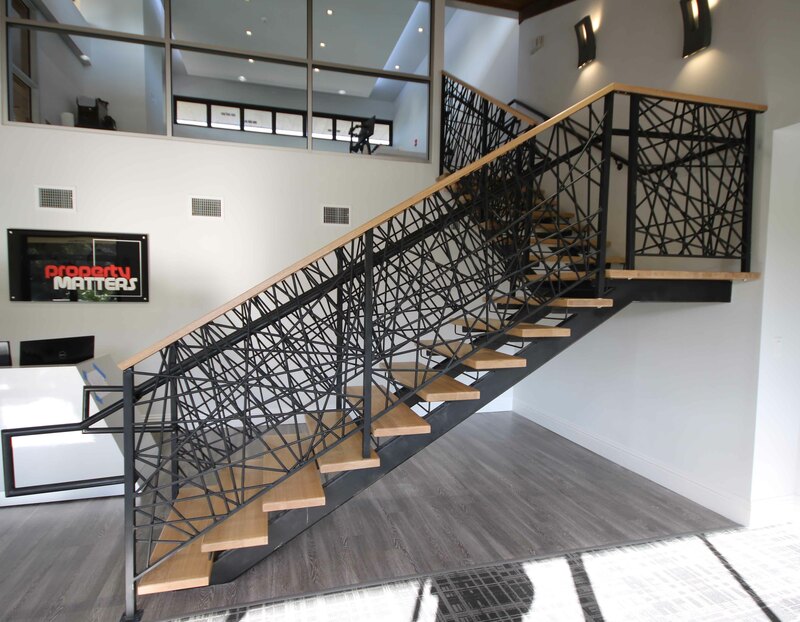 Acadia Stairs makes modern and contemporary metal floating stairs and other stair types you can see in the straight stair photo gallery. 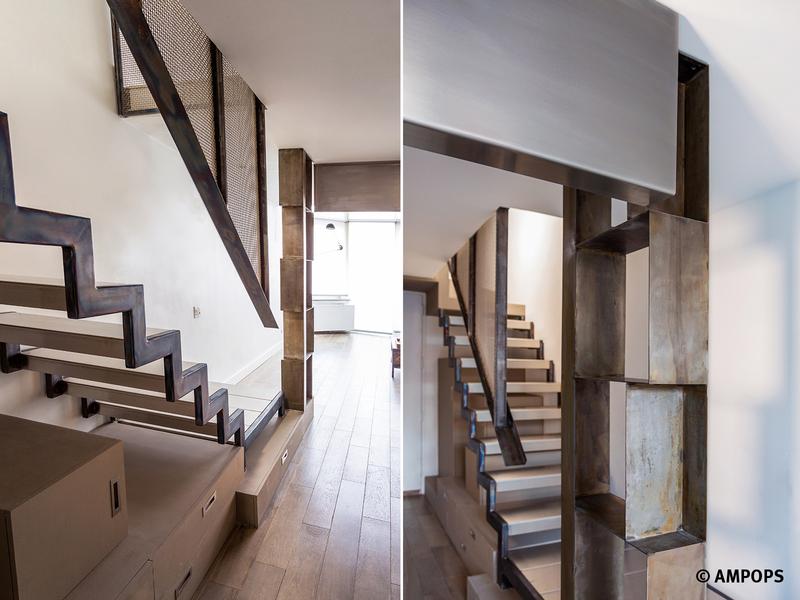 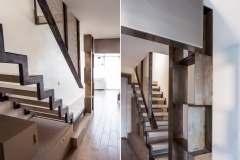 There are essentially three different types of stairs, which can be customized and improved upon in order to suit your home. 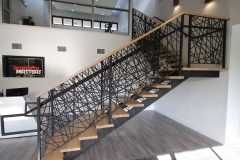 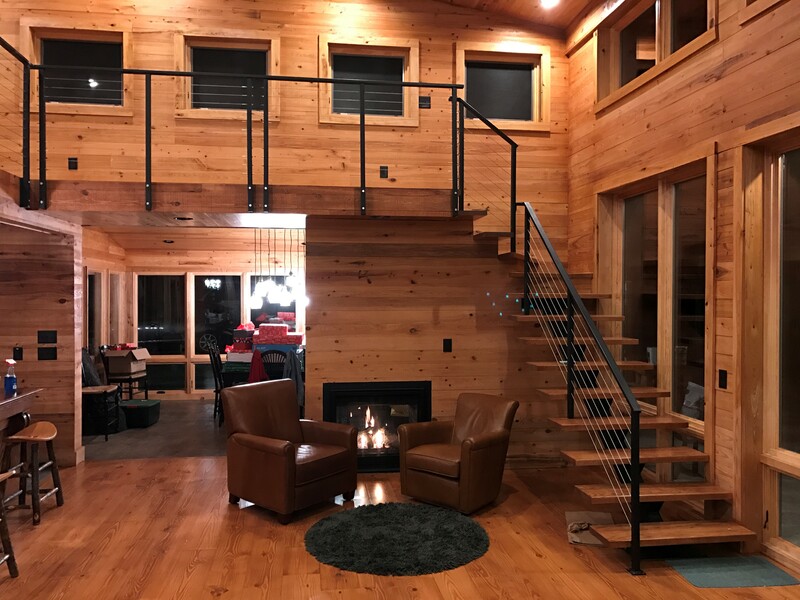 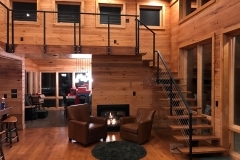 One of the most modern and contemporary looking and appealing straight staircases today is the single stringer stair, which uses a single support going through the center of the stairs. 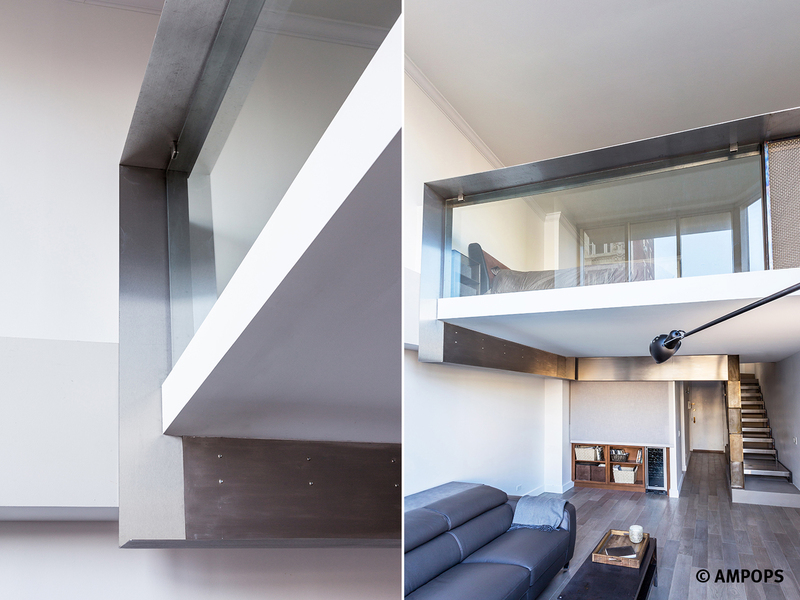 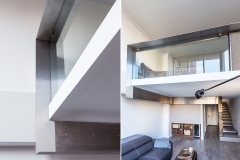 These give a more open and geometric look, as they do not block the view of other rooms. 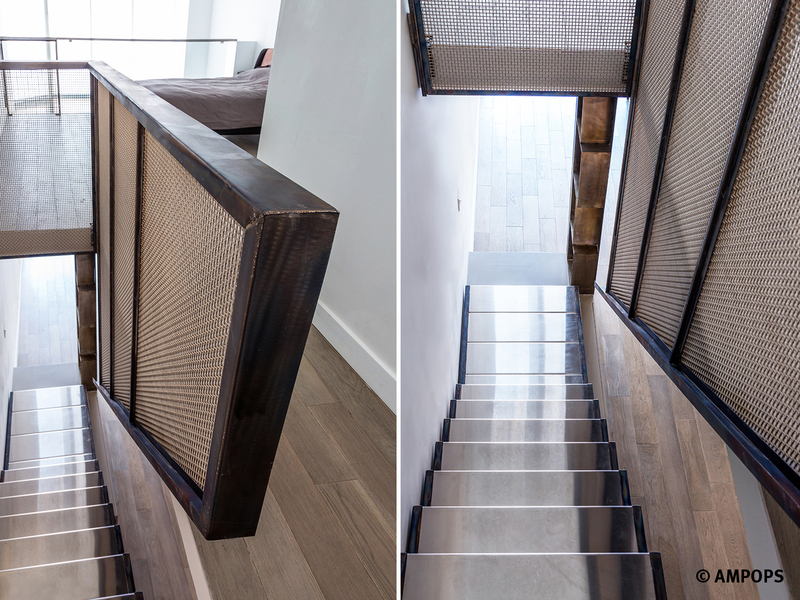 Double stringer stairs work in a similar way, using two supports at each side of the stair, but maintaining an open look. 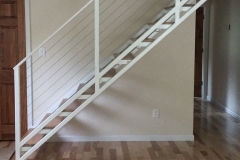 Finally, the pan-type stair (or side stringer stair) puts supports on opposite ends of the stairs, so there is nothing obscuring the view behind. 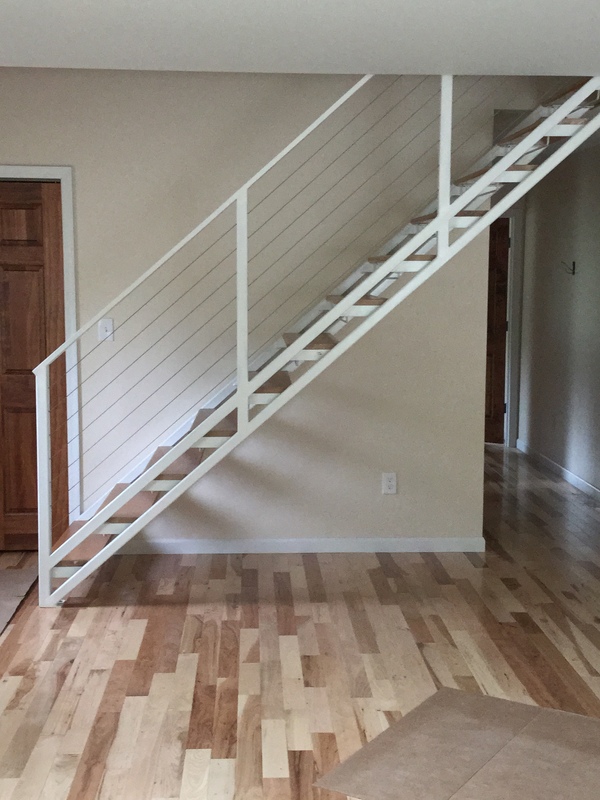 These stairs can go straight up to another platform, make a 90 degree turn or double back on themselves. 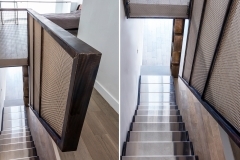 Whatever height or space you are working with, Acadia Stairs will build a modern or contemporary staircase that suits your space. 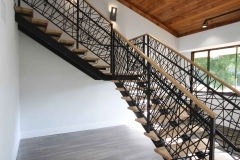 Contact us today to learn more and start designing your custom staircases.